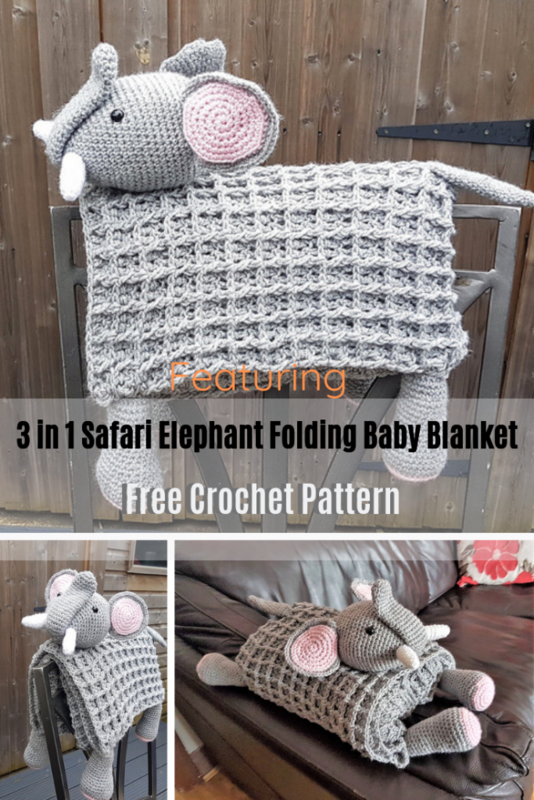 Homepage » Crochet For Baby & Children » Baby Blankets » Adorable Elephant Folding Baby Blanket Is Sure To Delight Your Little One! [Free Pattern] Super Cute Turtle Love Blanket & Beanie For A Super Cute Baby! There is always room for an elephant folding baby blanket in a baby’s nursery! This charming 3 in 1 Safari Elephant Folding Baby Blanket by Crafting Happiness makes nap a fun time. The pattern is suitable for the adventurous beginners who want to try more advanced stitches such as crocheting in the front and back loop and who have attempted amigurumi before. Keep your little one warm and cozy and entertained with this adorable baby blanket and toy. The blanket is crocheted in light grey color with light pink accents and will brighten any nursery, make it your own and choose any color that suits your color scheme and decor. Choose natural shades of white and grey for a neutral colored nursery or make it fun and playful with bright colors such as red, yellow, blue or purple. Your choice! This pattern will create a baby blanket size 100cm by 75cm (46in by 29.5in), but you can make yours as small or as large as you like by changing the number of the starting chains and the number of rows. Your Toddler Will Love Relaxing On This Adorable Crochet Elephant Rug While Looking At Books, Watching TV Or Even Napping! 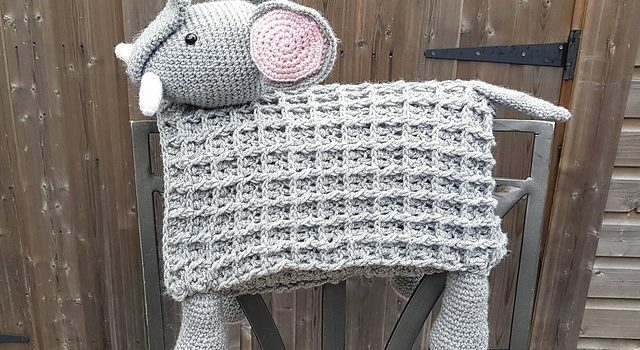 Get the pattern: Adorable Elephant Folding Baby Blanket Free Crochet Pattern.